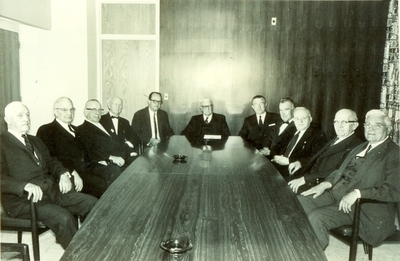 Do you know who these board executives are? from left ? ?, ??, ? ?, Fred R. Body, Joseph F. Lipsky, ? ?, William D. Gross, ? ?, Robert L. Schoeffer, ? ?, ??. we could use your help with the rest.